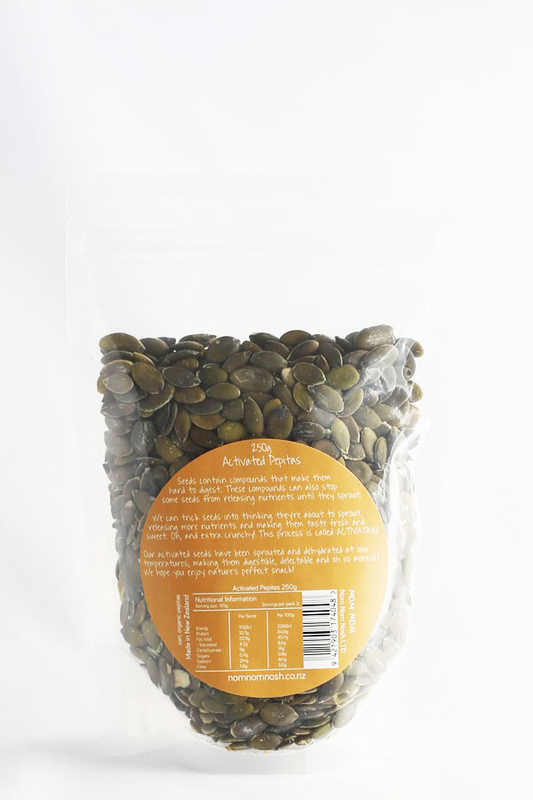 The organic pepitas are soaked in water until they begin to sprout. They are then dehydrated at low temperatures (below 45°C) until they are about 10% lighter and really really crunchy. 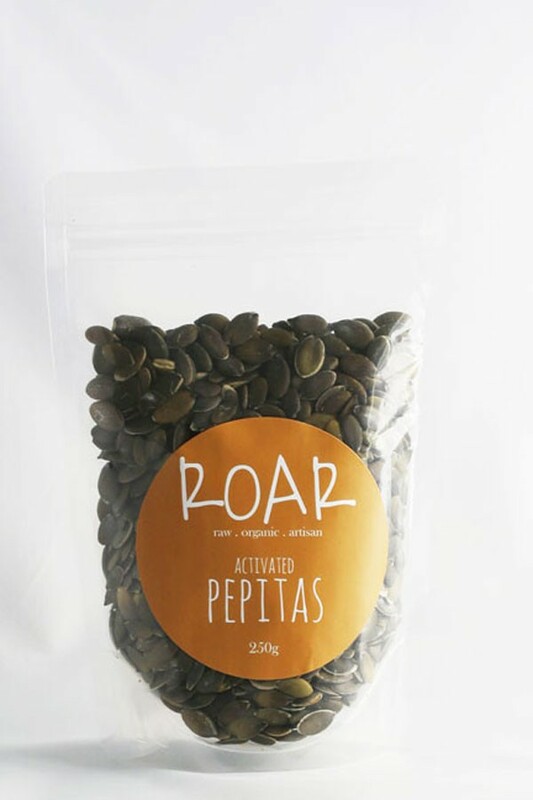 Pepitas (pumpkin seeds) are very filling (due to high dietary fibre) versus the amount of calories they contain. They are packed full of high quality protein and have a good mix of vitamins and minerals in moderate levels.